Fall is definitely in the air. The weather here has been up and down like crazy, but it seems like it is finally cooling off just a little bit. I love the fall season. All of the colors, the foods, and the cooler temps (hello jeans and comfy sweaters)! I am all about pumpkin, but let’s just give it a little more time before we break that out. 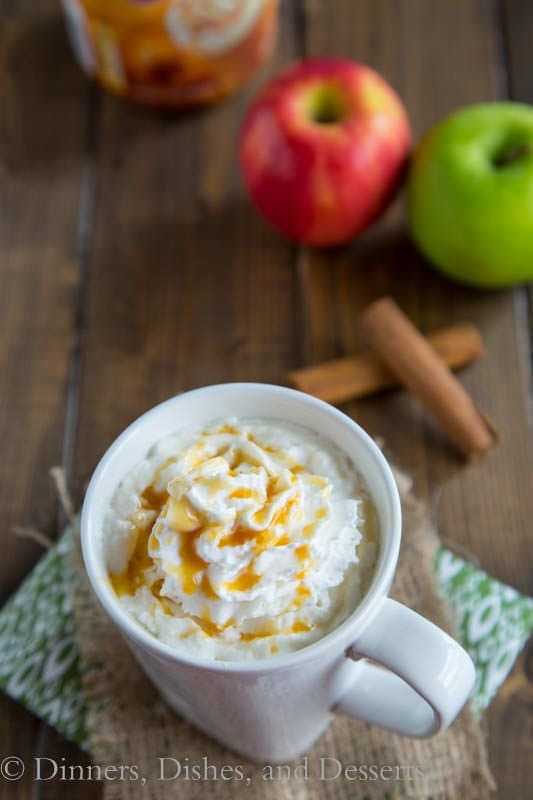 Apples deserve their day too 🙂 After a day outside in the cooler weather, I love coming in to warm up with a hot drink. 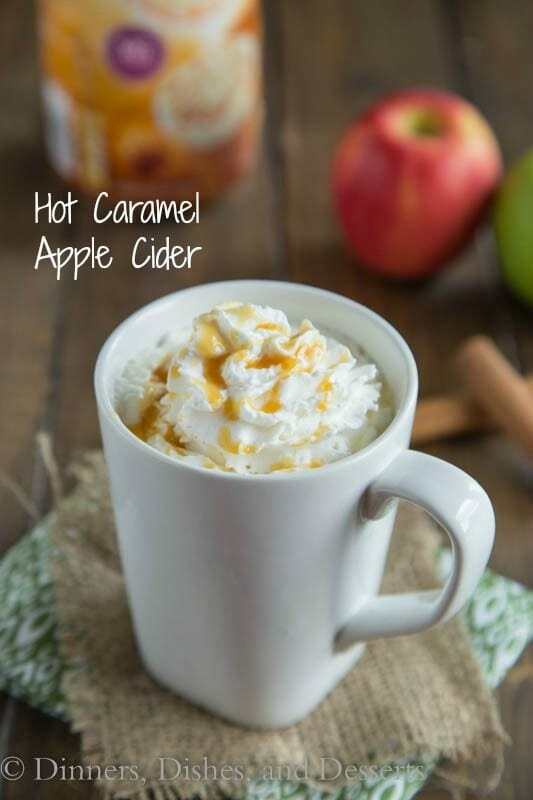 And hot apple cider is one of my favorites! 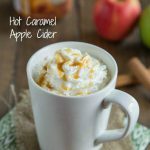 Sipping on a hot cup of cider in the fall is a definite treat. We have a cider press, so each year we make fresh apple cider. It is such a fun process, and great to have lots of fresh cider around. 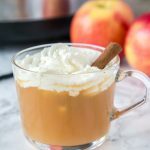 I have made a pumpkin spiced hot apple cider before, but this time I decided to go the caramel route. 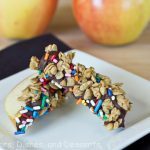 Caramel and apples are like a match made in heaven, right? Don’t believe me? 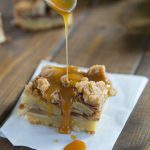 Check out these caramel apple pie bars, those are to die for good! 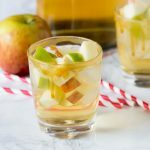 This hot caramel apple cider comes together in minutes, with just 3 ingredients. Super easy, even on busy mornings. 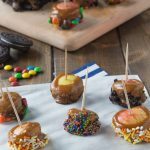 I used International Delight Coffee Creamer to help up to up the caramel flavor. 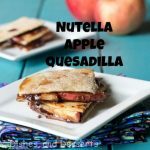 I used their Caramel Creme flavor, and it made it just slightly creamy as well as adding even more flavor. 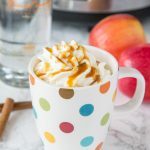 Hot caramel apple cider is the perfect drink to sip on a cool fall day. 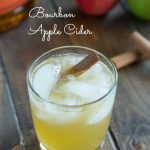 Maybe to warm up with after you have been out racking leaves or picking pumpkins! 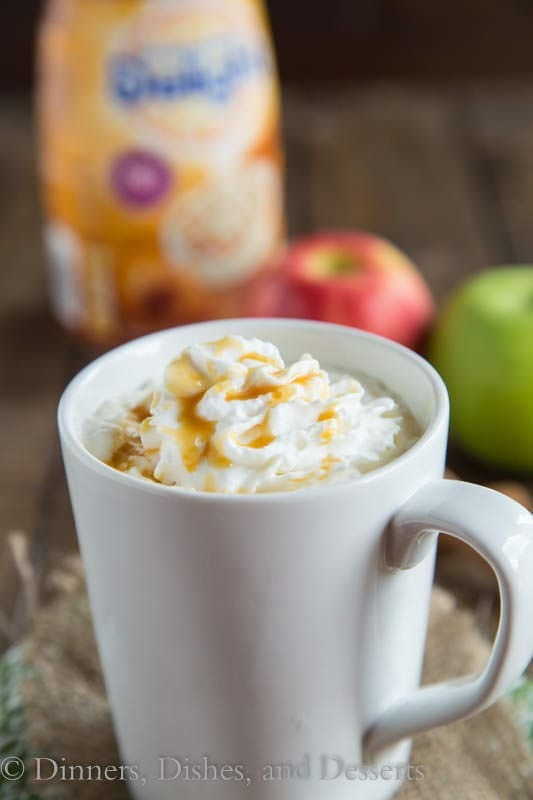 All the flavors of fall with caramel and hot apple cider together. 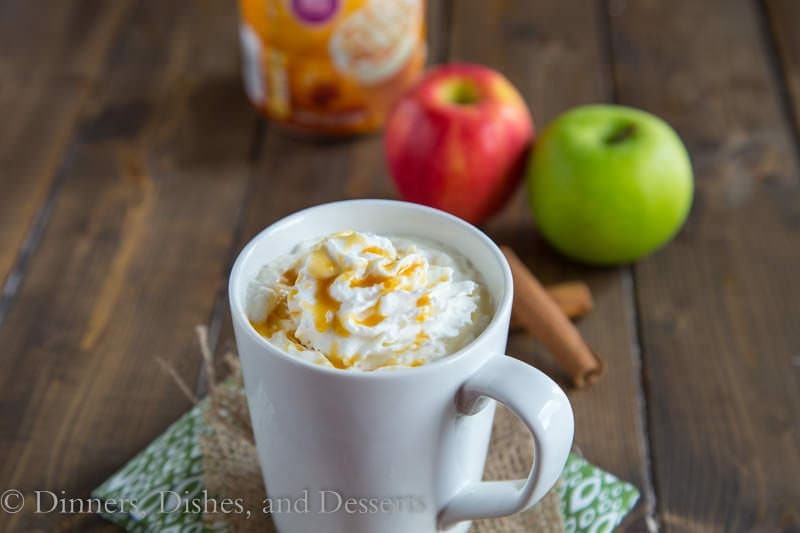 In a microwave safe mug heat apple cider and caramel together until your desired temperature. Stir in coffee creamer. 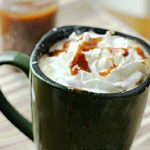 Top with whipped cream and drizzle with caramel if desired. 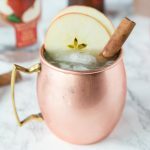 Caramel apple cider? 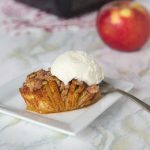 What a delicious way to usher in this autumnal weather!!! 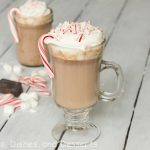 oooh, this is perfect for the chilly evenings we are starting to have. My daughter will love it!